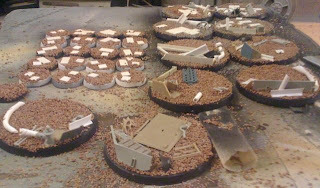 I am busy building and basing an imperial guard army. Since I am combining Cadians, Steel Legion, Vostroyan, and original guard models, I need a strong base design to pull them all together. 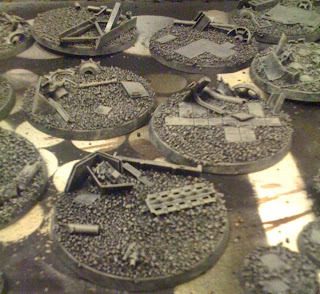 cut rubble bits and glue them to your bases. 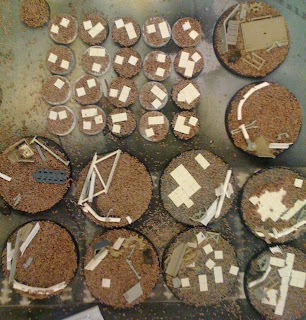 I used grid pattern plastic card to produce tiles, as well as old tank bits, and sprues. 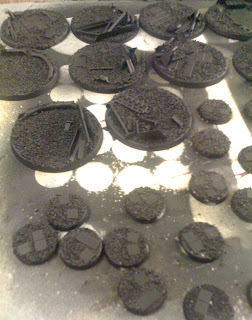 dry brush with a mixture of black and bleached bone (or the foundation paint closest to it) The idea is to make a dirty grey rather than a white/black grey. Dry brush with a very light amount of bleached bone or the foundation of your choice. Try not to over do it. I use a bleached bone/Deheneb stone mixture. Use a heavy wash of devlan mud. These new washes are awesome! Once dry create your own wash using blazing orange. I use a Tamaya acrylic paint thinner x-20A. The idea is to have a very diluted wash. 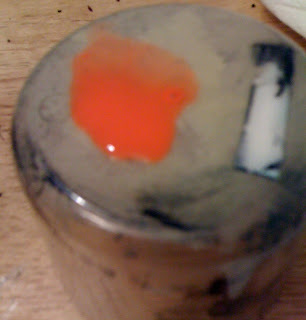 Paint this carefully onto mechanical bits or along sprue pieces. This will look like rust when dry. 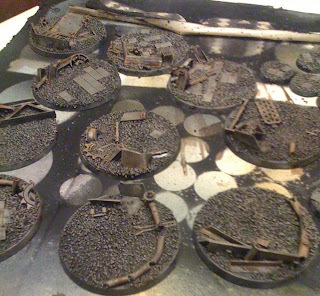 I use a lot of broken gears on my bases, so this really pulls them out of the muddy/grey backdrop. This is an excellent tutorial. Certainly, I hadn't thought of using bleached bone for grey rather than white before thats a great idea! 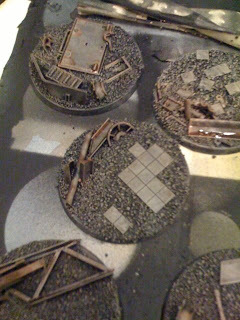 Nice job on these, I like the feel you get from them... not too much debris but enough to show the place is demolished. 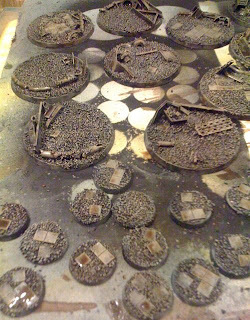 awesome looking bases. The orange wash worked perfectly, I seem to never get the consistency right. Very nice looking color scheme and effective use of debris. I always forget to throw some bitz around. I'd recommendation adding a small rubble pile here and there. 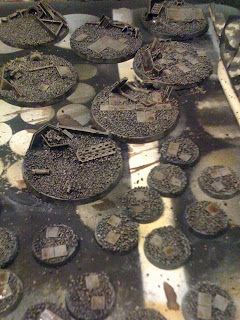 Other than the debris bitz, they seem flatter than ruined cities tend to be.